This morning when I woke up, I could see the beautiful fall leaves covering the mountainside outside my window. An hour later, lunches were packed, boys were buckled in, and we were mountainbound! I love living so close to so many hikes. 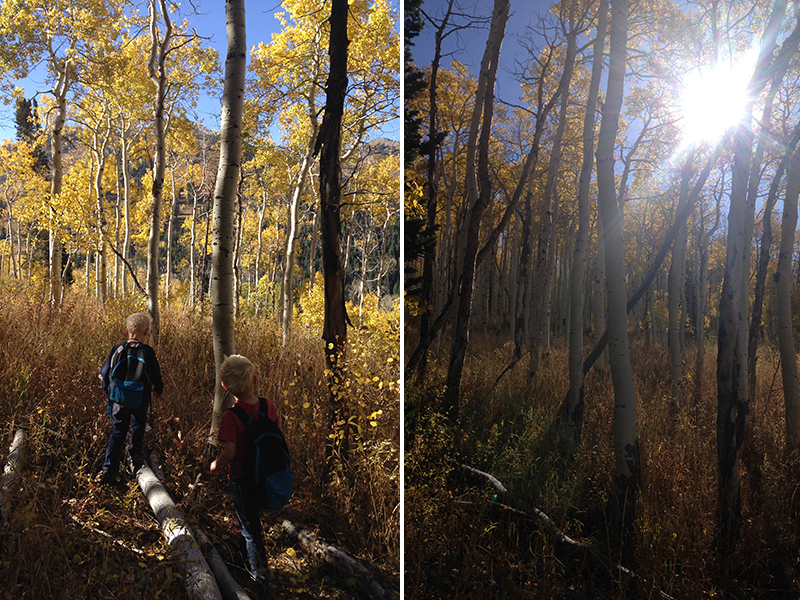 We went on Willow Heights Trail this morning and it was perfect. 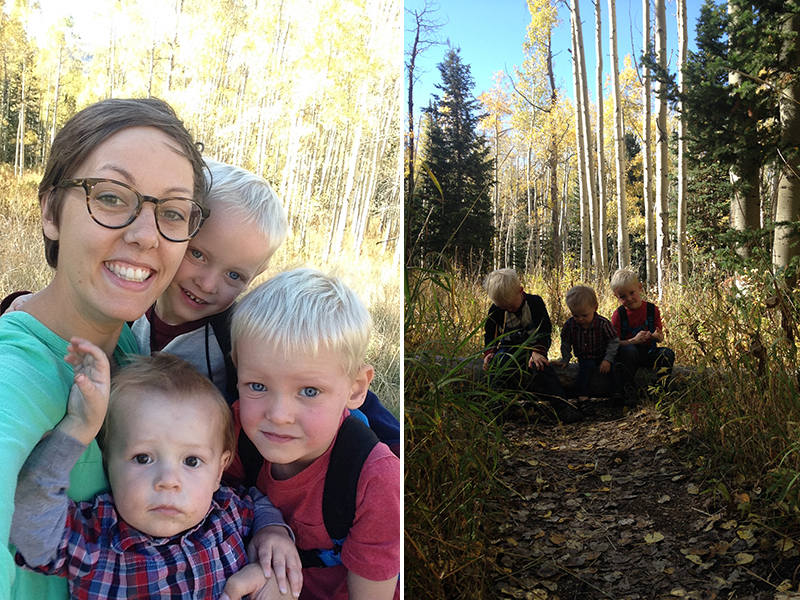 The hike itself was short, but surprisingly strenuous, but there was no whining or complaining- except from the baby, who didn't want to be carried, but to scramble up rocks by himself. I'm so proud of what good hikers the boys have become. 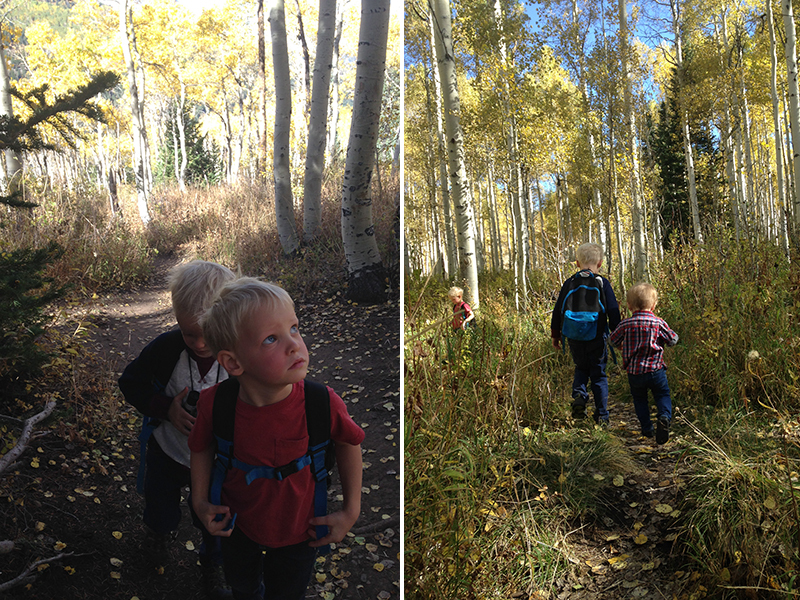 I remember that I read a blog post about hiking with kids a year or so ago, and it totally changed how I tackle hikes with the kids. She said to let your kids take as many breaks as they want, stop and play, carry (light!) 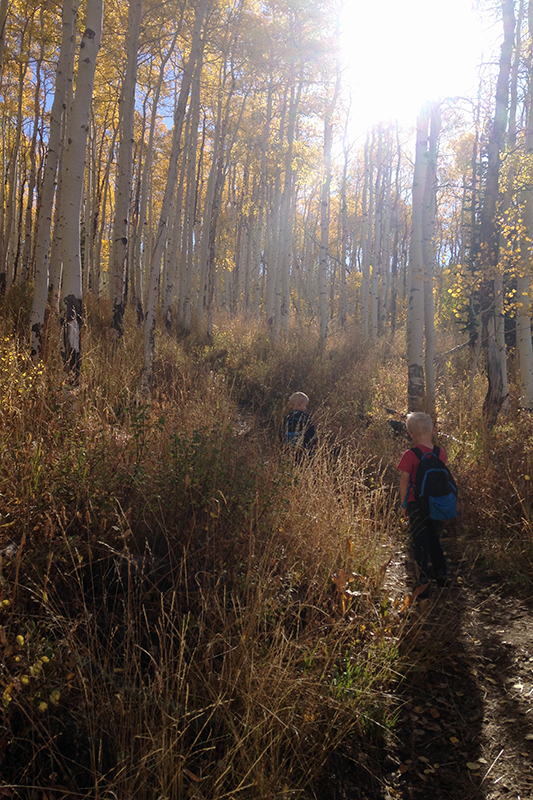 backpacks, and have a bunch of different snacks to stop and eat, even on a short hike. For some reason, none of those things had ever occurred to me. Now we always have at least three different snacks on each hike, and I almost always bring a sandwich for everyone. 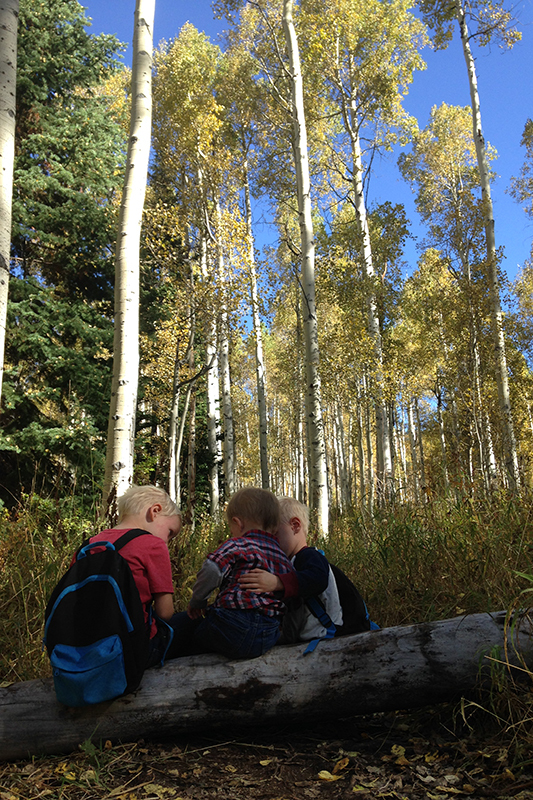 It's such a treat for the boys to get to the summit and triumphantly have a picnic. And whenever they get whiney or tired on the way, I say "Find a good spot to take a break and we can all stop and eat a fruit leather." I wanted to share a few pictures from our hike today and also share links/directions to a few of the hikes we've really enjoyed this summer. 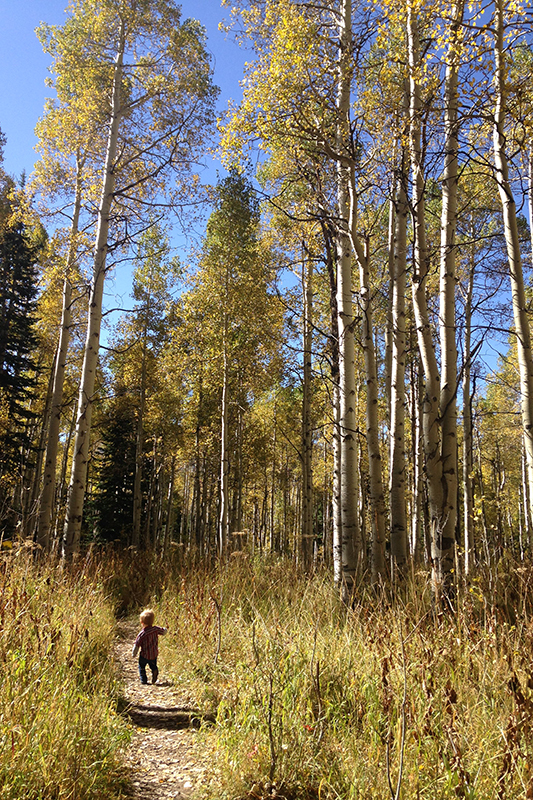 All of these are up Big Cottonwood Canyon, which is easily our favorite canyon to hike in. And When I rank these, I am not ranking them for normal, fit adults carrying Camelbak backpacks. I am ranking them for mothers, holding hands with their toddlers and hauling a baby on their backs. All of these are hikes are hikes my four and a half-year olds can walk themselves, but that doesn't necessarily make them easy. What a beautiful sight to see! I love that you get out and do that.